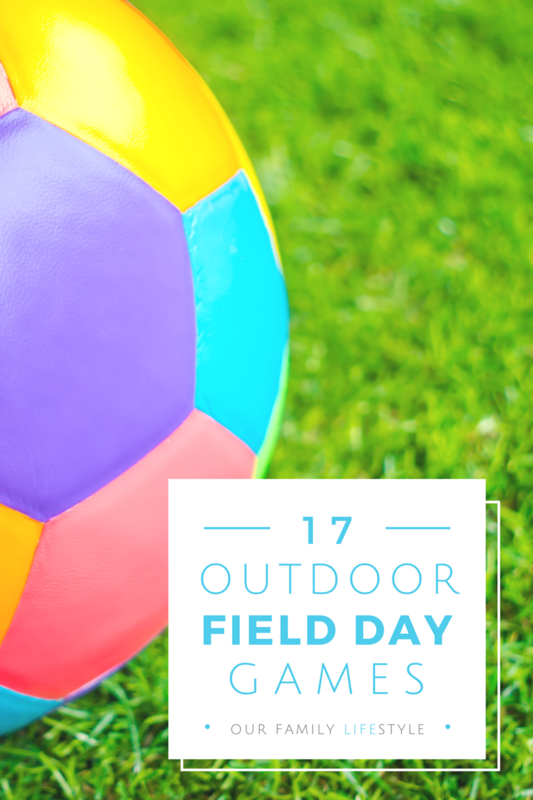 My outdoor field day games for kids post does so well, I thought we needed to share a list for adults too. After all, we like to have a good time outside too! Honestly though, the field day activities are really ideal for anyone to play. Although, some games could be a bit more challenging for the younger crowd, and that’s why they made it on this list instead. 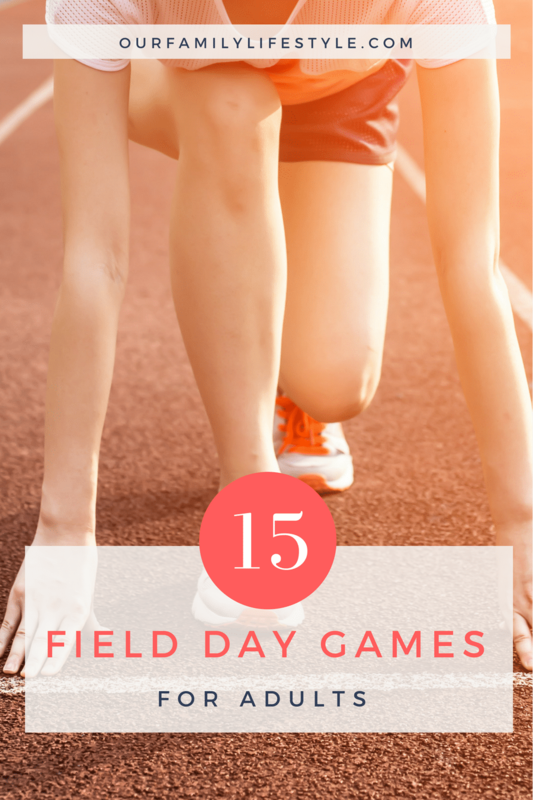 From classic backyard games to ones that may not be so well-known, here is a list of field day games for adults that you can play with your family, friends, and co-workers at your next outdoor event! Tug-o-War — Using a rope, divide into two teams. Hand each team one end of the rope, with a flag tied in the middle. 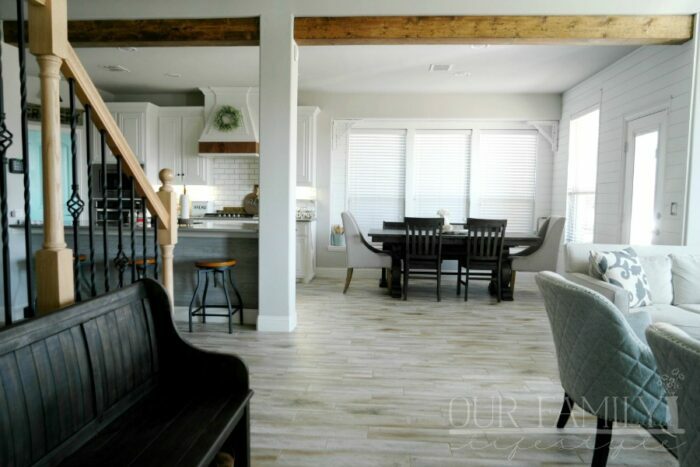 The first one to pull the rope past a designated spot on their side wins. Wheelbarrow Race — One person holds onto another person’s ankles while they crawl to the field day finish line on their hands. Ball Throw — Using a ball (sports ball, foam ball, wiffle ball, etc. ), have each participant stand behind a line and throw to see who can reach the furthest distance. Long Jump — Each player stands at a given line and jumps as far as they can. The one with the furthest distance wins this field day event. 100 Yard Dash — Measure a distance of 100 yards and have participants race to the finish line. Beach Ball Relay — Two players team up to carry a beach ball to a cone and back, without using their hands. Once they reach the starting point, the next pair goes. The first team to go through their line, wins this fun relay race for adults. Blind Volleyball — Set up a volleyball net, then throw a tarp (sheet, etc.) over the top. Divide into two teams, one on either side of the net. The first team serves the ball and volley begins. The first team to your designated point (5, 10, 15) wins. Three-legged Race — Pair up and give each team a ribbon to tie their legs together. Each team must complete the race with their middle legs tied together. The first team to the finish line wins. Disc Golf — Set up a course using hula hoops and buckets of water. You score according to how many tosses it takes to get the disc into the hoops. Each one in a bucket of water counts as a water hazard and is worth three points. Lowest score wins. Clothes Relay — Divide into two teams and line up for a relay. Each team will have a set of over-sized clothes at the start line. The first player must put on the clothes, run to a cone and back, undress and tag the next player in the relay game. The next player repeats the process. The first team to go through their line, wins. Wet Sweatpants Relay — Similar to the clothes relay race, only using sweatpants. Each player must dunk the sweatpants in a bucket of water, put them on, and take them off to pass to the next player in line. The next player repeats the process. Water Balloon Volleyball — Set up a volleyball net and divide into two teams. Give pairs of players on each team a beach towel. Instead of a volleyball, teams will pass a water balloon back-and-forth using the beach towel to catapult the balloons. Egg and Spoon Race — Feel free to substitute an egg for a marshmallow, rock, toy, potato, etc on this field day game. Line up side-by-side with the opposing team and race to see which team can get through their line first. If you drop the egg, you must go back to the starting line. Water Gun Race — Teams use water guns to squirt a ping pong ball across a designated finish line. Balloon Pop — Each player is given two inflated balloons and string to tie the balloons to their ankles. The object of the game is to pop the other players’ balloons, without using hands. Feet only. The last player left with balloons wins. 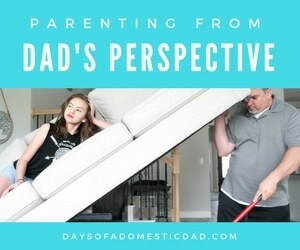 Who’s ready for fun field day activities for adults? Many of the items needed to play the above field day games can most likely be found in your kid’s outdoor play collection already. Otherwise, Amazon.com or your local retailer will probably have what you need. Have fun!